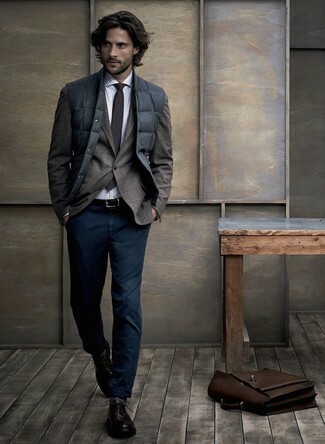 If you're all about relaxed dressing when it comes to fashion, you'll love this stylish combination of a grey blazer and a dark brown leather briefcase. You could perhaps get a little creative when it comes to footwear and spruce up your look with brown suede casual boots. 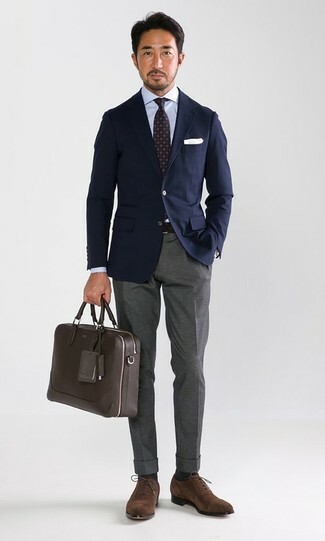 We're all seeking comfort when it comes to dressing up, and this combination of a grey check wool double breasted blazer and a Shinola nubuck sport briefcase from Nordstrom is a wonderful example of that. Kick up the cool of your ensemble by completing it with brown suede oxford shoes. 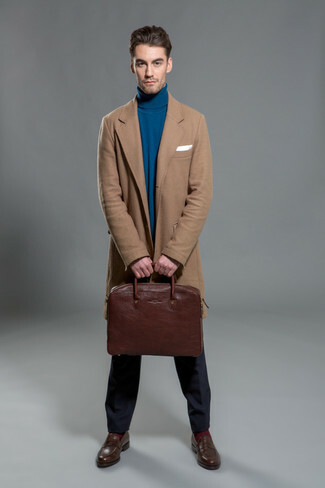 If you're all about functionality dressing when it comes to fashion, you'll love this easy pairing of a camel overcoat and a Shinola nubuck sport briefcase. Choose a pair of dark brown leather loafers to take things up a notch. If you prefer relaxed dressing when it comes to your personal style, you'll love this on-trend combo of a navy blazer and a Shinola nubuck sport briefcase. 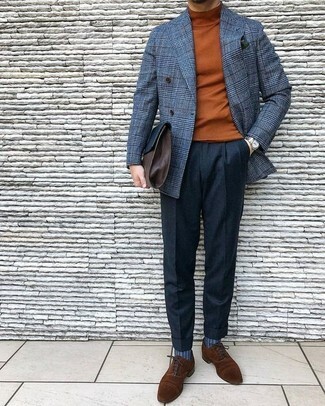 A pair of brown suede oxford shoes adds some real flair to this outfit. If you're all about comfort dressing when it comes to your personal style, you'll love this easy pairing of a dark brown plaid barn jacket and a Shinola nubuck sport briefcase from Nordstrom. Let's make a bit more effort now and make burgundy leather brogues your footwear choice. 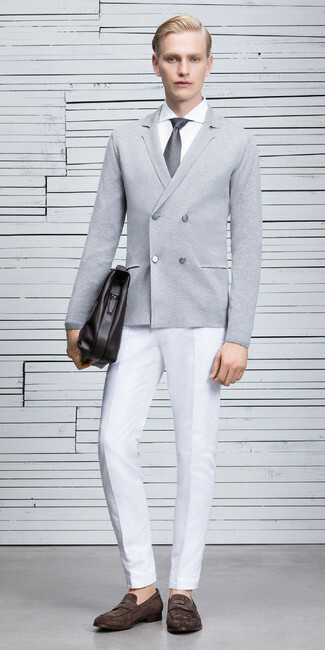 If you're a fan of comfort dressing when it comes to your personal style, you'll love this on-trend pairing of a grey double breasted cardigan and a Shinola nubuck sport briefcase. 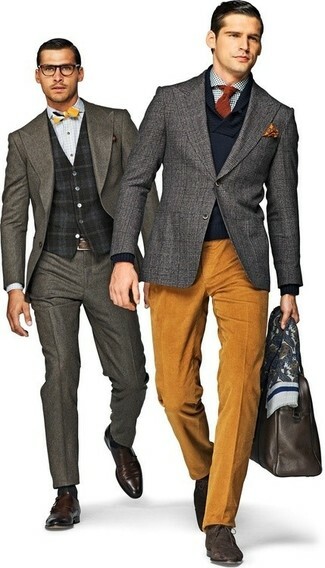 Go for a pair of dark brown suede loafers for a masculine aesthetic. 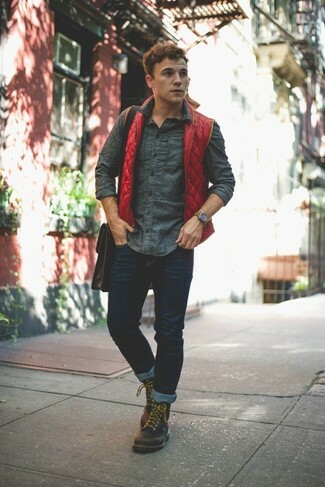 If you're all about relaxed dressing when it comes to fashion, you'll love this simple pairing of a red gilet and a dark brown leather briefcase. Bump up the cool of your getup by rounding it off with dark brown leather casual boots. 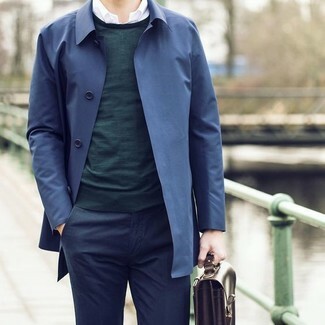 We're all seeking comfort when it comes to dressing up, and this combination of a navy trenchcoat and a Shinola nubuck sport briefcase is a practical example of that. 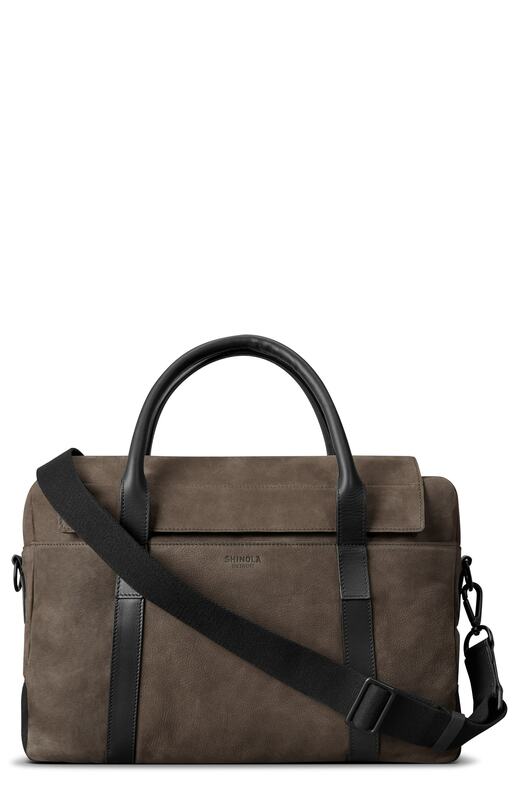 If you prefer functionality dressing when it comes to your personal style, you'll love this neat pairing of a charcoal gilet and a Shinola nubuck sport briefcase from Nordstrom. 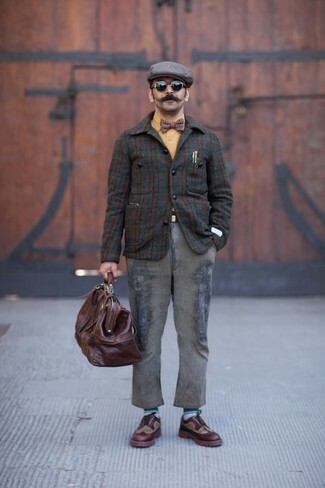 A pair of dark brown leather derby shoes will add some real flair to this getup.